There was no doubt in our minds that Imangi Studios' recently released Temple Run 2 would be huge, and thus far, the game has delivered on all fronts. In less than 48 hours, it's already the number one free iOS game and app overall, beating out the likes of Angry Birds Rio, Ruzzle and the always formidable Google Maps. 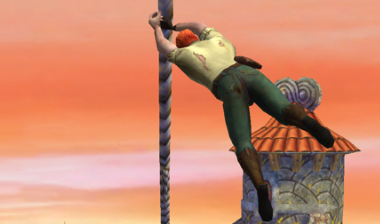 As of this writing, Temple Run 2 has just over 6,000 reviews averaging out to an impressive four-out-five stars. Most users praise the graphics, whish easily destroy the original's, along with the friendly controls and non-stop action. A vocal minority, though, complain of lag and the game crashing. It remains to be seen whether these are valid issues, or a case of people not updating their devices.